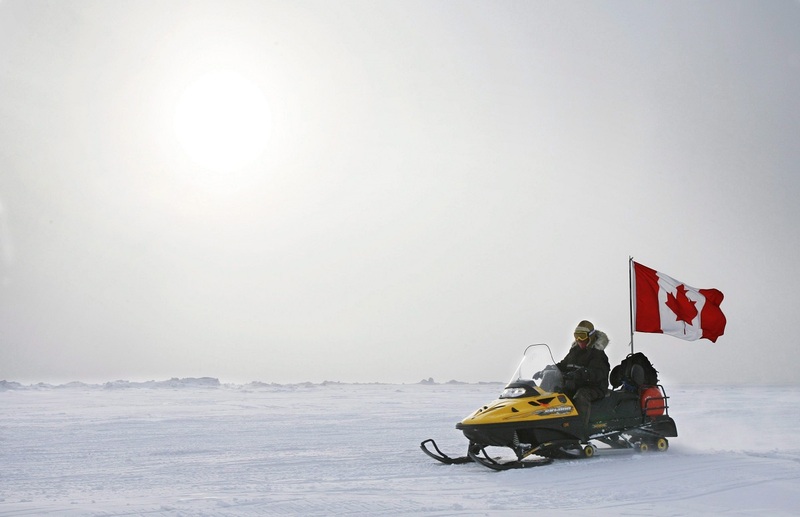 Canada’s long-awaited defence review came out earlier this summer, giving Arctic experts the chance to analyse the Trudeau government’s position on Arctic issues. And as expected, the review devoted a section to the role of the Canadian Forces (CF) in Canada’s Arctic. These statements are important because we’re able to evaluate where there’s been continuity, or a break, with previous governments. For example, to say that the 2017 defence review does not focus on human security (food security, housing, education and the like) would be misleading. Traditionally, these priorities have been addressed in policy papers spearheaded by the Department of Indian Affairs and Northern Development (in 2009) or the Department of Foreign Affairs (in 2000). Thankfully, national defence matters have enjoyed several official statements. The Martin Liberal government published one in 2005 (A Role of Pride and Influence in the World) and the Harper Conservative government released one in 2008 (Canada First Defence Strategy). 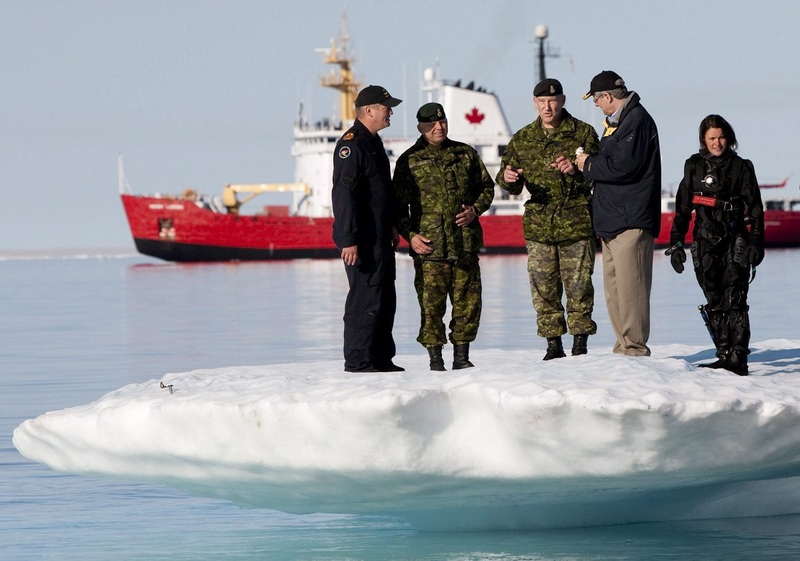 But if there’s one thing we can take away from the three Canadian defence documents, it’s this: there’s certainly an Arctic bipartisan consensus in Canada on the strategic and geopolitical nature of the Arctic environment as well as the role of the Canadian Forces. The description of the Arctic region in the 2017 statement looks remarkably similar to the ones made in the 2005 and 2008 statements. The 2005 review warned that “the demands of sovereignty and security for the Government could become even more pressing as activity in the North continues to rise”. The demands in the statement aren’t described as military ones initiated by other states, but rather the kinds of threats posed by drug smuggling, organized crime and environmental disasters, things requiring greater surveillance and control. 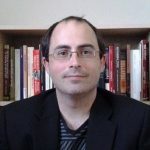 The focus on asymmetrical threats, the absence of military conflict and the need for greater control and surveillance in this year’s statement, were all highlighted in a recent analysis by Adam Lajeunesse, the Irving Shipbuilding Chair in Arctic Marine Security at St. Francis Xavier University in the Atlantic Canadian province of Nova Scotia. The Conservative government’s 2008 statement also made similar observations. 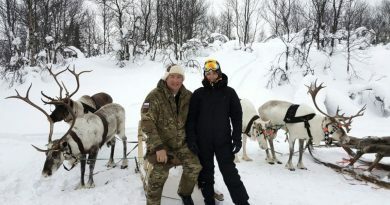 No mention of conventional military conflict or state threats in the Arctic region was made. Descriptions of the strategic environment are also similar: “Retreating ice cover has opened the way for increased shipping, tourism and resource exploration, and new transportation routes are being considered, including through the Northwest Passage”. In turn, these changes could “spark an increase of illegal activity” in the region. 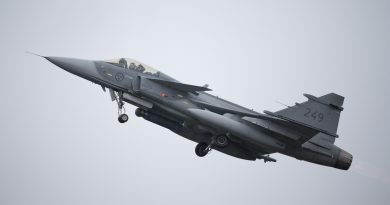 The statement follows that the Canadian Forces must “detect threats to Canadian security as early as possible” and “have the capacity to exercise control over and defend Canada’s sovereignty in the Arctic”. The surveillance and control component is front and center, mobilising most of the investments announced, including the acquisition of drones, radars and satellites. The continuity is clear between the last defence review statement and previous ones. Even the rhetorical turn suggested by Adam Lajeunesse does not hold true; the “surveillance” term comes back more often in the 2005 and 2008 statements than the term “sovereignty”. A look at all three documents shows that when it comes to the Arctic, surveillance (knowing what is going on) and control (acting upon the information gathered) are at the heart of bipartisan consensus in Canada. These two components encompass sovereignty and security concerns: exercising our sovereignty means addressing and/or neutralizing public security threats like smuggling, environmental disasters and search-and-rescue missions. This approach also lists threats shared with other states (especially allies) and reasserts the primacy of the Canadian state in the region. Fighting non-state threats will not cause friction with other states, especially more powerful ones. This brings us to some of the ways the 2017 document did break with previous statements. 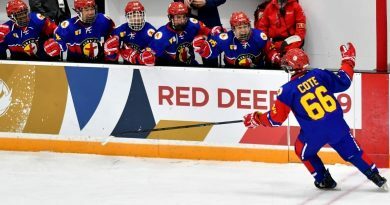 Rob Huebert argued that the most important change in the 2017 defence review was depicting Russia as an Arctic adversary. While the allusion is more explicit that in any previous policy statement, it needs to be put into perspective. First, the review is more adamant about presenting Russia as an adversary rather than specifically painting it as an Arctic adversary. 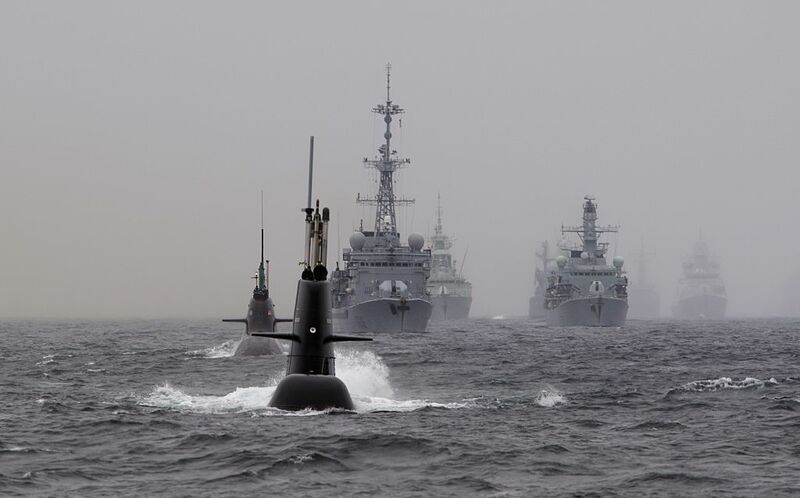 The passages highlighted by Huebert do not concern the Arctic region directly but are part of broader concerns, namely continental defence (largely driven by the United States) and multilateral dynamics (the North Atlantic Treaty Organization). In regards to the latter point, the Canadian Arctic is of secondary concern since the threat is directed at the North Atlantic region: “NATO has also increased its attention to Russia’s ability to project force from its Arctic territory into the North Atlantic”. Secondly, Huebert is correct when he points out that the NATO mention represents a game-changer. The importance of the allusion is more profound for Arctic governance than for the ‘Russia-as-Arctic-adversary’ argument. The mention officialises the most meaningful break with the Harper government’s stance on Arctic issues to date. In fact, the Harper government expressed a great unwillingness to incorporate non-Arctic states or entities in Arctic governance. The general approach, one rooted in limited or closed multilateralism, was to centre Arctic governance around Arctic states, and even around sub-groupings such as the Arctic Five meetings (United States, Russia, Canada, Denmark and Norway). The Canadian government was reluctant to accept non-Arctic (but especially Asian) states as observers in the Arctic Council. It had a similar attitude towards the European Union when it wanted to play a bigger role in the region. The mention of NATO in the 2017 statement represents a turning point as the Trudeau government does not shy away from integrating partners and non-Arctic states in Arctic decision-making. The participation of Canada in the Arctic 5 + 5 meetings to discuss the future of fisheries in the Central Arctic Ocean with countries like China, South Korea and the European Union constitute another example of such policy. This open or inclusive multilateralism is a timely policy change as the Central Arctic Ocean (CAO) is freed of ice. The stewardship and respect of national jurisdiction heard so often in recent years from Arctic states, will not hold as the CAO is international waters. Open multilateralism will be necessary to manage this area as national sovereignty will no longer suffice.